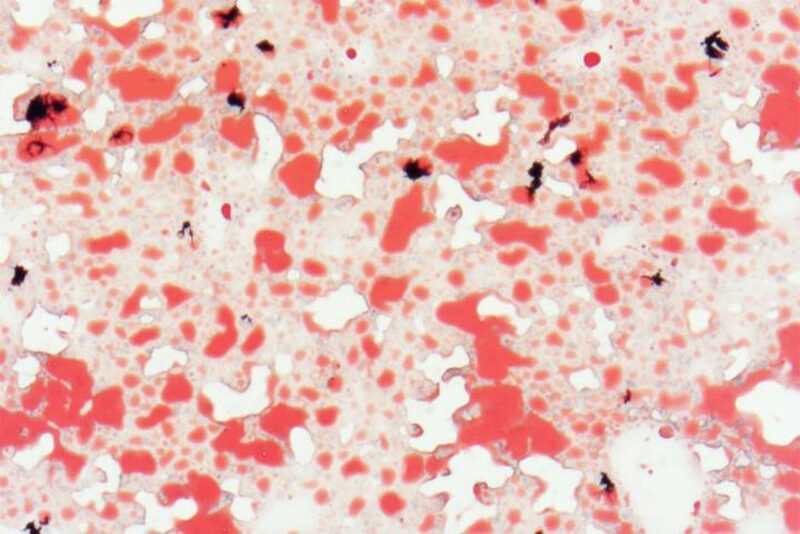 Image: Mice fed a diet high in trans fats and cholesterol for 12 weeks show fatty deposits in the liver (red staining) (Photo courtesy of Dr. Brian DeBosch, Washington University School of Medicine). A novel approach to preventing diabetes and other manifestations of metabolic syndrome, which includes obesity, diabetes, and fatty liver disease, showed promising results in mouse model systems. The response by the liver to fasting has been proposed as a therapeutic pathway to enhance hepatic and whole-host metabolism. However, the mechanisms underlying these metabolic effects remain unclear. To help explain these mechanisms, investigators at Washington University School of Medicine (St. Louis, MO, USA) worked with various mouse models to evaluate the role of the enzyme epidermal-type lipoxygenase, eLOX3 (encoded by its gene, Aloxe3), as a potentially novel promotor of the therapeutic fasting response. The investigators reported in the August 23, 2018, online edition of the journal JCI Insight that Aloxe3 was activated during fasting, glucose withdrawal, or trehalose/trehalose analogue treatment. Aloxe3 in the liver - whether activated by fasting or trehalose - improved the animals' insulin sensitivity as well as increasing calorie burning, raising body temperature, reducing weight gain and fat accumulation, and reducing levels of circulating fats and cholesterol in the blood. In addition, administration of trehalose in the drinking water of mice fed an obesity-inducing diet protected the animals from developing metabolic disease. Although use of trehalose as a drug in humans is unlikely due to the ease in which it is broken down in the body, trehalose analogues such as lactotrehalose were found to demonstrate similar beneficial effects by activating Aloxe3 while not being as readily denatured. "We learned that this gene, Aloxe3, improves insulin sensitivity in the same way that common diabetes drugs -- called thiazolidinediones -- improve insulin sensitivity," said senior author Dr. Brian DeBosch, assistant professor of pediatrics at Washington University School of Medicine. "And we showed that Aloxe3 activation in the liver is triggered by both trehalose and by fasting, possibly for the same reason: depriving the liver of glucose. In mice, this gene is turned on as part of what seems to be the normal fasting response. Our data suggest that fasting -- or giving trehalose with a normal diet -- triggers the liver to change the way it processes nutrients, in a beneficial way. 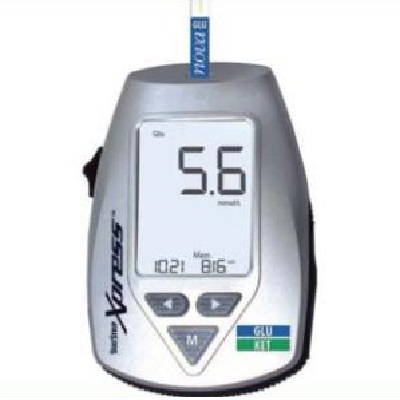 And if glucose can be blocked from the liver with a drug, it may be possible to reap the benefits of fasting without strictly limiting food."